In the Eset V4 Cup opener, the Audi Sport customer teams remained unbeaten in Central Europe while in Germany Uwe Alzen celebrated his second victory in the DMV GTC season. Audi customer teams unbeaten in Eset V4 Cup: In the opener of the Central European Eset V4 Cup racing series, Audi’s customer teams prevailed in three competitions at the Hungaroring. The first sprint was won by Polish title defender Marcin Jedlinski from Olimp Racing in an Audi R8 LMS ahead of the Czech Richard Chlad jr. in an Audi R8 LMS ultra. The finish in the second sprint was reversed. In the one-hour endurance race, Richard Chlad jr. prevailed by a narrow margin too and won with an advantage of 0.3 seconds. Third place went to Stanislav Jedlinski/Mateusz Lisowski in another Audi R8 LMS. Second victory this season for Uwe Alzen: On the second race weekend of the DMV GTC, Uwe Alzen celebrated his second overall victory. The German in an Audi R8 LMS from Spirit Race Team Uwe Alzen Automotive won the first sprint at Hockenheim with a 3.3-second advantage. With Dennis Busch in third position, another customer in an Audi R8 LMS mounted the podium. His twin brother, Marc Busch, as the runner-up in race two claimed another trophy for the Twin Busch Motorsport family team. Additionally, both brothers finished runners-up in the Dunlop 60 race ahead of Uwe Alzen/Dietmar Haggenmüller. As a result, Dennis and Marc Busch are also leading the Dunlop 60 standings after two of eight rounds. 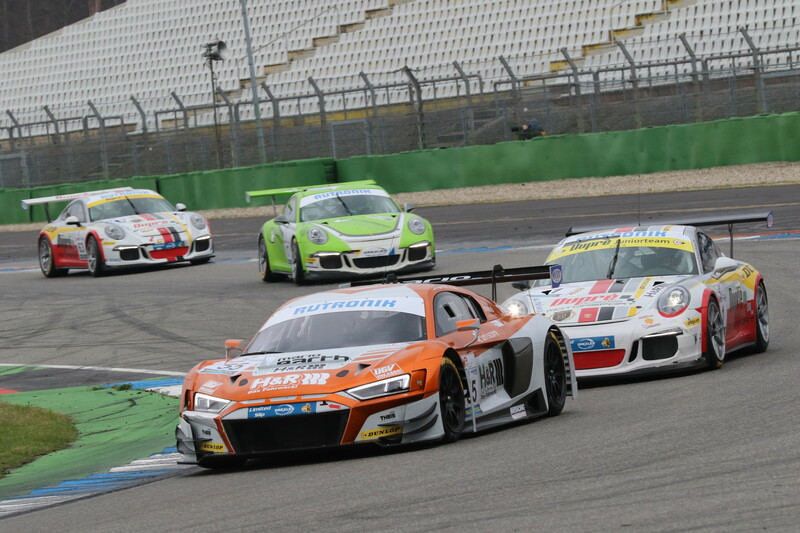 Two victories in club sport: In the GT and Touring Car Racing Series, two privateer Audi drivers were successful at Hockenheim. Mike Stursberg won the first sprint in an Audi R8 LMS ultra with a one-lap advantage; Heinz Schmersal remained undefeated in round two. Team lineup confirmed: The Audi teams for the 10 Hours of Suzuka have been determined. In round four of the Intercontinental GT Challenge from August 23 to 25, three squads will be racing in Audi R8 LMS cars. Together with Audi Sport customer racing, Audi Sport Team Absolute Racing from China that clinched a podium finish last year and Belgian Audi Sport Team WRT will return to the challenging 5.8-kilometer circuit. Once again, the Japanese Audi Team Hitotsuyama will use the endurance race at home for a visit to the world’s highest-caliber GT3 racing series.